The ritual of bread making will be the focus of the morning of Day 2 of our Experience Sicily with Chef Melissa Muller tour May 19-31, 2016. Ritual bread making pervades the island of Sicily and is practiced in honor of various saints, the most renowned of which is Saint Joseph or San Giuseppe. 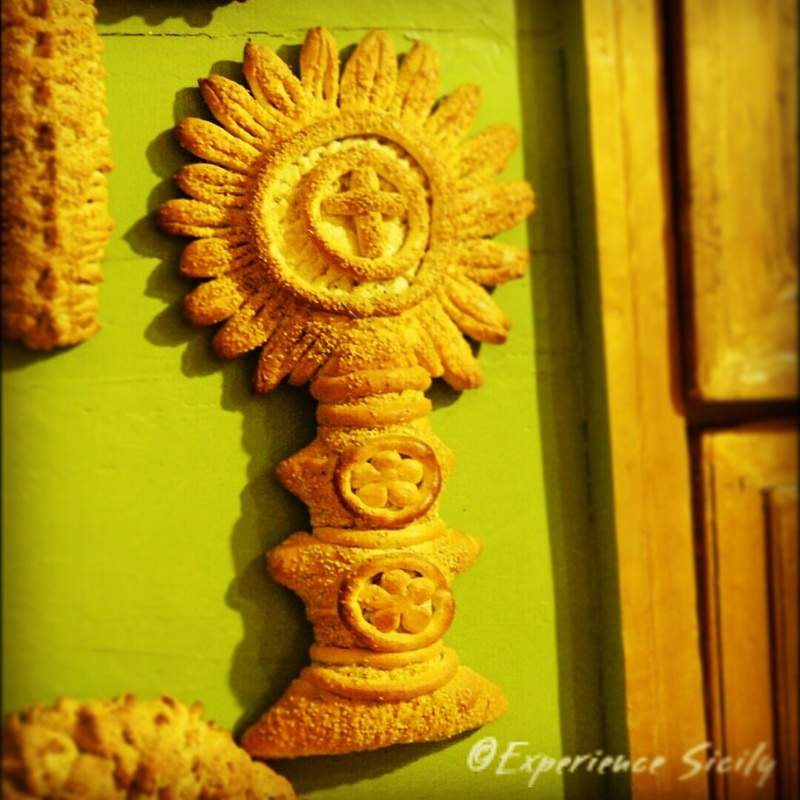 For weeks leading up to March 19, Saint Joseph’s Day, women create beautiful loaves–or bread sculptures, like the one pictured–in order to pay homage to San Giuseppe. The act of creating the loaves is done as a way to ask for protection, security, and prosperity for the year ahead and/or for thanking the saint for having provided for their families during the previous year. Chef Melissa will be our guide as we explore this fascinating tradition, celebrated with fervor in Salemi, our first stop of the day. Join us on this extraordinary tour! Contact AllisonScola@ExperienceSicily.com today to register. The first two couples to contact me will receive $600 off per couple!